The screen industry needs to “meaningfully grapple” with the longstanding, systemic issues that impact upon parents/carers in the sector, according to Professor Deb Verhoeven, one of the researchers behind Raising Films Australia’s recent survey report. The report, the initial findings of which were announced at the Adelaide Film Festival in October, is the result of a survey of the experiences of parents and carers working in the screen industry which received more than 600 responses. Almost three quarters of parents and carers reported their caring responsibilities had a negative impact on their career in the screen industry. Of those, 86 per cent were women, many of whom were freelancers. As a result, many were hiding the fact they had kids or cared for a loved one, while others simply left the industry altogether. Among the main concerns raised by respondents were balancing caring responsibilities with long hours, financial uncertainty and unpredictable work commitments, in addition to evening networking/screening events, lack of confidence or prejudice from funders and employers, and a lack of access to childcare services. Professor Verhoeven, associate dean (engagement and innovation) in the faculty of arts and social sciences at the University of Technology, Sydney (UTS), said that some of the results of the Raising Films Australia survey were similar to those conducted in the ’80s and ’90s. She argued the industry needs to seriously think about the “risk and liabilities” of collecting data that doesn’t lead to meaningful change. For instance, in the 2018 Raising Films Australia survey, 46 per cent of women reported they had unpleasant experiences in the industry due to their gender. In 1987, 52 per cent of women reported the same. In the 2018 survey, 31 per cent of women also felt they were disadvantaged in the industry to their gender. In 1992, 45 per cent of women reported the same and 1987, 35 per cent. Professor Verhoeven said: “I think this is a brutally callous and uncaring industry… There has been active negligence over 30 years, and this is, for an industry that prides itself on enterprise and creativity, singularly lacking in imagination and ethical depth. Alternatives to the current system, policies that provide alternatives are rare and usually opportunistic, and place the onus for change on those people most vulnerable. The Raising Films Australia report was the result of a collaboration between WIFT NSW and UTS, with funding from Create NSW, and was based on similar survey run out of the UK by Raising Films in 2016. When the findings were first announced, the South Australian Film Corporation (SAFC) immediately ushered in a series of policy changes designed to get parents and carers to continue to engage with or rejoin the industry, as well as a development initiative for projects with flexible production methodology. Yesterday’s forum at AFTRS was organised by WIFT Australia to identify further workable actions to address the needs of and issues raised in the report. Professor Verhoeven argued that if the industry doesn’t listen to, and act on, the experiences of parents and carers working in the industry – many of whom are those who “operate in the background” and aren’t heard – it will perpetuate harmful practices, and place a debt burden on future generations to fix it. Elsewhere at the forum, Screen Australia confirmed that childcare is considered ‘QAPE-able’ and is a cost allowed to be included in production budgets. Screen Australia project manager, production investment, Kelly Vincent said there is a line item in the A-Z Budget under C18 technical advisors and tuition, which is where childcare can sit. “It currently says childcare, it doesn’t say primary caregiver costs, and that is something from today’s discussion something that we could consider,” said Vincent. While childcare is not specifically included in the Producer Offset legislation, program manager, Producer Offset and co-production unit, Michele McDonald said it may be included as QAPE (Qualifying Australian Production Expenditure) as long as it meets the normal rules, that is: it’s expenditure incurred by the production company, it’s reasonably attributable to the making of the project, and was incurred in Australia prior to the completion of the film. During the forum, several roundtables were held to discuss how the industry could become more inclusive for parents and carers, as well as barriers to change and how they could be overcome. Among the suggestions for greater inclusivity were shorter working hours, such as eight hour working days on sets; flexible childcare/creches on set (that could also work during night shoots); more opportunities to work from home, especially during pre and post-production; varying production schedules; a code of conduct or awareness policy around the needs of pregnant and breastfeeding women and carers on set; and reward and incentives for both individuals to return to work and businesses to support them in this. In pushing for change, it was also suggested the industry work closely with line producers to encourage them to include childcare in budgets, as well as the unions/guilds and disability advocates in championing change. It was acknowledged that some broadcasters have flexible corporate environments that accommodate the needs of parents and carers, and this could be something they advocate for on the projects they commission. There were also calls for the SAFC’s policies to be rolled out nationally. Among the barriers identified were tight budgets, the need for industry leaders to get on board, and many full-time employee benefits do not apply to freelancers. 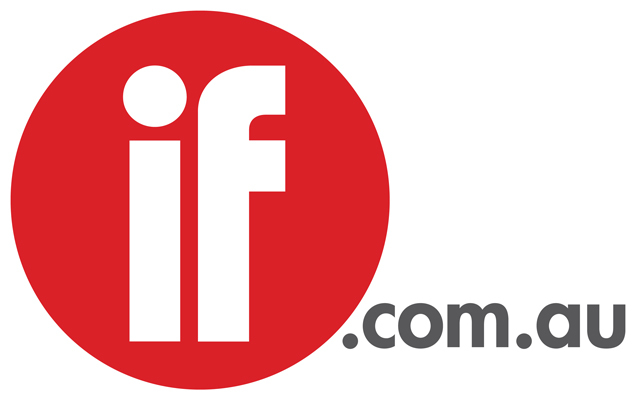 WIFT Australia is currently forming a Raising Films Australia advisory board to seek input from both decision makers and those with lived experience to drive change, and will also develop a follow-up forum report to be released in mid-2019 with recommendations for industry, best practice guides and case studies. Those who were not present at the forum can watch videos from the event on the WIFT Australia website, along with an online submission form for those who would like to contribute ideas, case studies, best practice examples and feedback on how to make the screen industry more accessible to carers. Read the Raising Films Australia report here.